Alternative energy innovation is what should be getting subsidized, NOT fossil fuel companies. There are so many advances being made in alternative energy these days, it is very inspiring. Such as André Broessel’s latest invention, which looks like something out of a superhero movie (see pic). 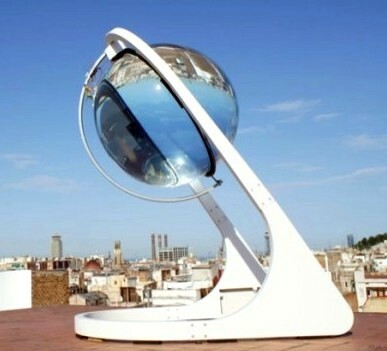 Called the “Rawlemon Solar Device,” the spherical solar concentrating system produces efficient solar energy anywhere. According to a recent report in “Fast Company,” the German architect touts his orb-like system as being 35 percent more efficient than a standard panel, doing even better when combined with a tool for tracking the sun. The Rawlemon Solar Device, just one of many recent advances in alternative energy. Another new innovation is the “Zero-Blade Technology” wind power device, largely inspired from the sailboat. It is likely to double the efficiency of current wind power conversion devices. The blades are replaced by a sail-shaped body, while both hub and gearbox are removed. Just think how much faster the progress would be, both in innovation and actual working installations, if alternative energy research received the subsidies that are now going to the fossil fuel industry! In this day and age, it’s a real shame that the hugely profitable oil companies are getting any subsidies at all. Why do companies that make record sums of money year after year need any government help at all? Answer: they don’t. Then why do they get it? Answer: they’ve got the so-called “people’s representatives” in their pockets. Time to vote ’em out! P.S. Look for the Humor Times 23rd Anniversary Issue, next month! It’s a great issue to advertise in, call or write soon to reserve space! P.P.S. We here at the Humor Times also do website work on the side. We’re always looking for more projects, so if you have a website that needs improvements, or need to create one from scratch, or know someone who does, please contact us. Go to our Website Creation & Maintenance (WCM) Facebook page to see some examples of our work. All our websites are “responsive,” that is, they look good and work well on all devices: Desktop computers, laptops, tablets and smart phones. 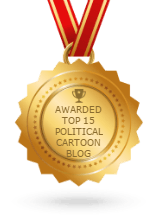 You can trust the folks at your friendly political humor publication to do the job to your satisfaction! We can work with you anywhere you live. P.P.S. Just noticed this is our 2,000th post! Cosmic! We appreciate your support and viewership — please share our site widely. Thank you!